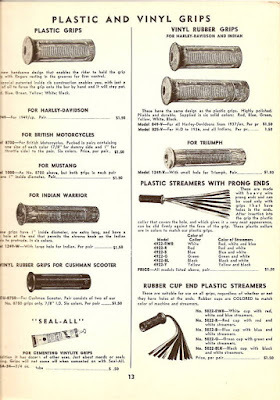 Beck grips, I love them Beck grips made for the Harley handlebars. They are stylish and are made in many colors, simple in their design still stylish, and they are good to ride with too. 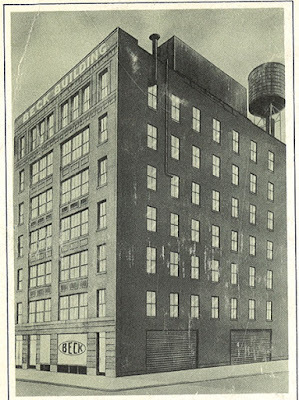 Beck Distributing Corp. was founded as early as in 1914 by a young Irving Beck at age 20, whom realized the need of accessories and spare parts for motorcycles that not necessarily came from the motorcycle manufacturer themselves. 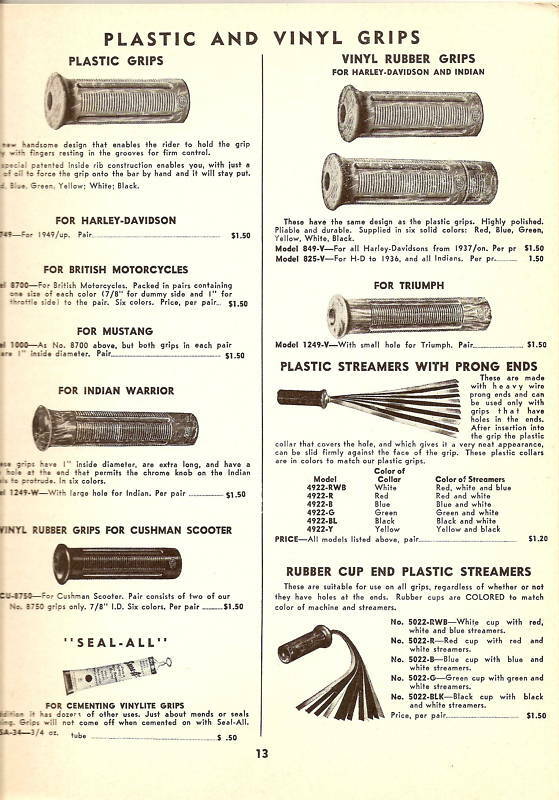 Irving was lucky enough to get a huge contract of supplying sidecars to the US Army during WWI. Sidecars that he imported from Australia. 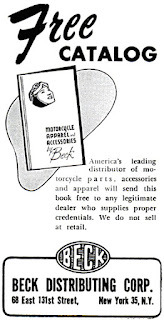 After the WWII the US economy was blooming, and Beck started supplying spare parts and accessories to European made sports cars in addition to the motorcycle parts. 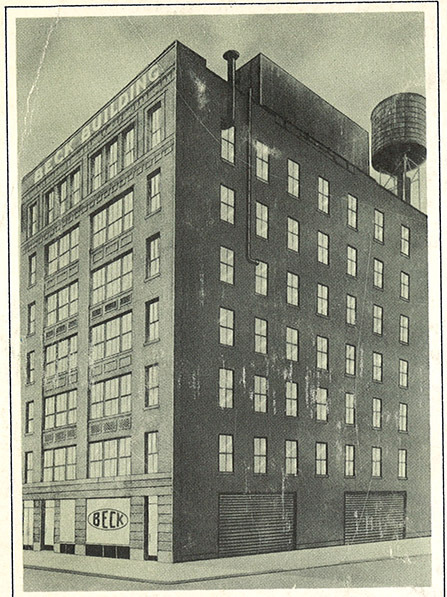 Beck would merge with a huge brake shoe maker in the late sixties, and as a company they exist even today though with a different name. 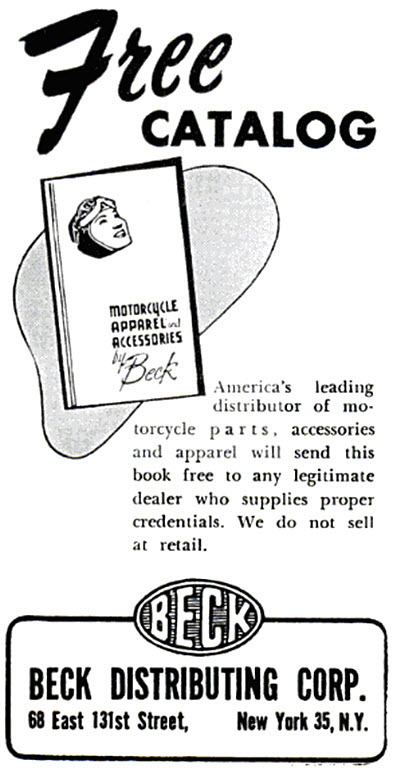 Fifties Beck add from "The American Motorcyclist Magazine"
Today there are great quality Beck reproduction grips available at reasonable prices.